Three bedrooms. See details below. 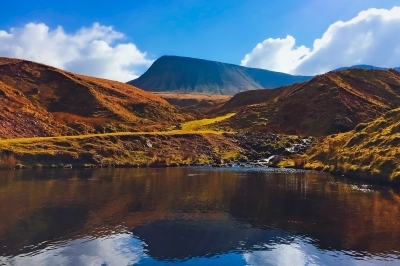 Based at the Western end of the Brecon Beacons National Park we have a short car journey to some good walking on and around the Black Mountain (not to be confused with the Black Mountains to the E which also contain a Black Mountain). Dinefwr bunkhouse was originally part of the female servants living quarters and work rooms. The building forms part of the courtyards, situated above the old kitchen of adjoining Newton House on the Dinefwr Park estate. Today the bunkhouse offers cosy group accommodation with a well equipped kitchen, wood burning stove and modern recently refurbished shower rooms. There are three bedrooms: a twin; a four person (single beds) and a dorm split into two sections, the upper with a bunk and a single bed, the lower with seven singles. There are fantastic views over the seventeenth-century deer park from the patio which is reached from doors off the living area and has wooden bench seating and a barbecue. Llandeilo is approximately one mile walk away. The Club's AGM will be held on the Saturday evening. All members are welcome to attend, whether on the meet or not. HOW TO BOOK - booking form in 'Members Area' or see 'How to Join'. A reserve list will operate when meets are full - please email the Meet Booking Secretary with your contact number if you wish to go on the list. Come and join us - it'll be fun! 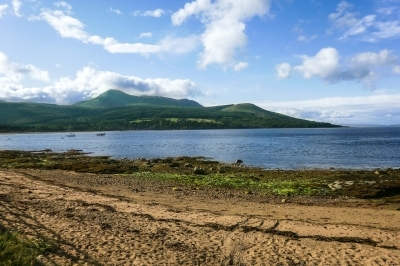 Arran is often described as ‘Scotland in miniature' and offers a tremendous variety of walks – from the near-Munro peak of Goat Fell to coastal paths and glens. The comfortable Shore Lodge bunkhouse is located within the grounds of Brodick Castle with a stunning backdrop of mountain peaks and forested slopes. 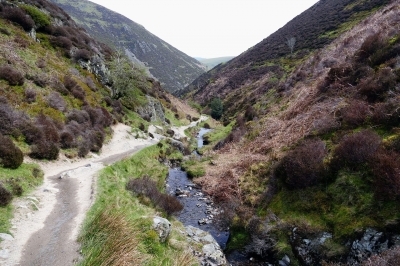 The adjacent Country Park has over 10 miles of way-marked trails and features waterfalls and woodland walks while the estate is home to a wealth of wildlife, from red squirrels and otters to owls, golden eagles and hen harriers. Beyond the Brodick estate, are Goat Fell, Arran's highest mountain at 874m, and Glen Rosa both of which can be accessed by foot from Shore Lodge. • Comfortable sitting room with wood-burning stove • Fully equipped kitchen • Two sets of WCs and showers • Drying room • Electric central heating • Wi-Fi [PDF brochure download via link above]. (1) meet fee includes breakfasts and evening meals for all nights except the first and one night when the group will eat out. TRIP NOTES AND SPECIAL BOOKING FORM IN 'MEMBERS AREA'. 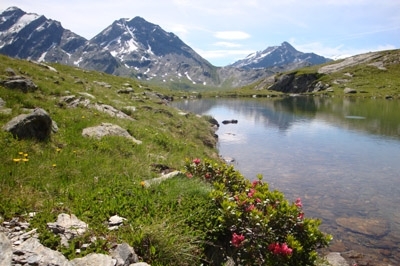 With a listing of 91 hikes in the area and a range of other activities including mountaineering, climbing, via ferrata, MTB and rafting there should be something for all tastes on this meet. We have a luxury chalet in the centre of the village. There are six twin bedrooms (three with bathroom ensuite). Facilities include a large sun terrace, sauna and bar! Participants will be responsible for arranging their own flights/transport (see link below). HOW TO BOOK - trip notes and special booking form in 'Members Area' or see 'How to Join'. A reserve list will operate when meets are full - please email the Meet Booking Secretary with your contact number if you wish to go on the list. 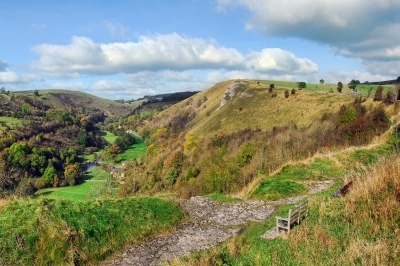 Set in the heart of the Peak District, 'Woodlands' is part of an outdoor centre but not as we know them! Lounge with bi-fold doors onto an enclosed decking and patio area with seating; 50” wall mounted TV, Blu-ray player and Bluetooth speaker plus free wi-fi. Bedroom (1) four people in 1 bunk bed, 1 single bed and 1 single profiling bed (that can also be used as a standard single bed) with an en-suite shower room. Bedroom (2) five people in 2 bunk beds and 1 single bed. Well equipped kitchen; shower room; utility room with washing machine and tumble dryer; underfloor heating throughout. 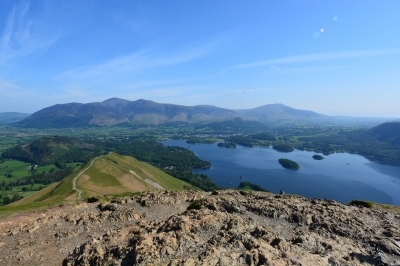 Beautifully situated in the remote Newlands Valley, yet thirty minutes drive from Keswick in the heart of the NW Lakes the accommodation is surrounded by summits including Robinson, High Spy and Dale Head. Reached by driving or walking the last mile along an unsurfaced track, the hut sleeps 16 and has gas cookers and lighting. One of the most attractive features is the coke pot-bellied stove. Cold water supply is straight from the fells above the hut & needs to be treated before drinking. There is a flushing toilet but no shower. Facilities are both basic and appreciated by those wishing to get away from it all. The bunkhouse is well situated for walks on the Stiperstones or Long Mynd perhaps followed by a trip to one of the two micro breweries in nearby Bishops Castle. Two dorms with two x bunkbeds and two singles. Two individual showers with toilets and washbasins. Central heating throughout with drying facilities. Wifi. 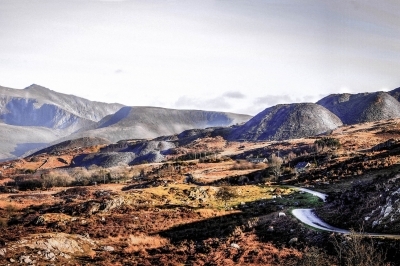 Hendre Isaf is just a short drive from the mountains of Snowdonia. Three bedrooms: one single with en-suite; one dorm with bunks for 10 with privacy partitions; one dorm with single beds for 7 with privacy partitions. Two shower rooms both with 2 showers and 2 toilets. The accommodation has oil central heating throughout. On Saturday evening we will dine at the Royal Oak Hotel, Betws-y-Coed with a three course meal (veggie, vegan and gluten-free options available). The cost is included in the meet price. Return transport will be arranged (cash payment required on the night). This free workshop will run on the Saturday of the Dinner Meet and is suitable for both beginners and those with more experience. 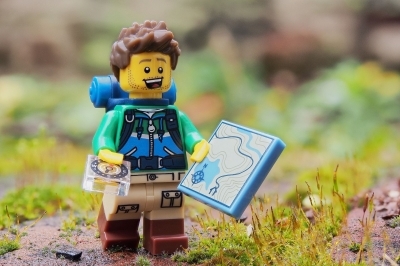 It will involve a day 'on the hill' with the opportunity to practice various navigational techniques. The event will finish in good time to get back to the hut before the Annual Dinner. Book by emailing the Meet Booking Secretary. 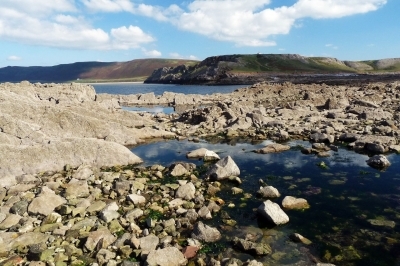 Plenty of sport and trad routes nearby but just in case you can't locate your harness the Gower has a spectacular coastline, award winning beaches and beautiful countryside - ideal for walking or maybe a little bird watching on the salt marsh next to the bunkhouse. Secluded among trees and dunes of Whiteford Burrows National Nature Reserve, the bunkhouse has three bedrooms, four bathrooms (one en-suite), a fully equipped kitchen, adequate sofa seating for 10, underfloor heating plus the all important wood burner! Confirmed but bookings for this meet are not open yet. Twelve places are booked at this comfortable club hut which is in a great location for Winter walking and has a real ale pub next door. The hut is centrally heated throughout (inc bedrooms) and has a log fire in the lounge. Facilities include a drying room. Lakes in Winter. Photo credit: Pixabay. 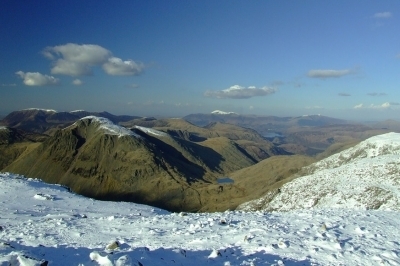 An opportunity to complete the classic Fairfield Horseshoe as well as other Lakeland walks at all grades. 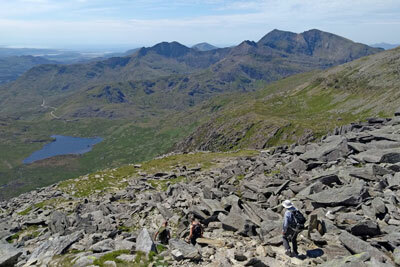 Ambleside is a 15 minute walk away with gear shops and traditional pubs. The ground floor has a twin room with an en-suite wet room. Upstairs, there are two large bedrooms accommodating 4 guests in bunk beds, an additional single room, bathroom facilities and storage areas. The cottage is completed by a fully-fitted kitchen and a large lounge with sofas, a flatscreen television and an iPod docking station. Gas central heating throughout. Photo: On Kinder Scout. Credit: TGMC. The John Hunt Base is part of the Hagg Farm Outdoor Education Centre and provides comfortable residential accommodation within the buildings and grounds of a converted 19th Century hill farm. Walks from the door of the centre lead onto the high moors of Kinder and Bleaklow and around the Ladybower reservoirs and dams. We have exclusive use of the Base which has a lounge/dining room, showers and toilets and is fully central heated with a drying room. There are two twin bed rooms, a six bed bunk-room and an eight bed bunk room. View from Devil's Point, Cairngorms. Photo credit: Hendrik Morkel on Unsplash. There are 15 Munros here (mountains over 914m/3,000ft high), including 4 of the 5 highest mountains in the UK. Plenty of low level walking options as well and the beautiful ancient pinewoods are home to red squirrels and pine martens as well as birds such as the crossbill and black grouse. 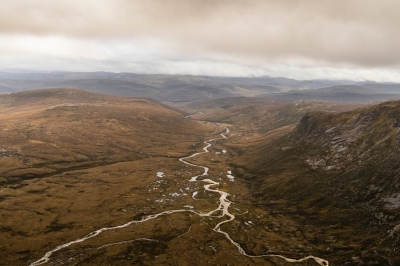 We have exclusive use of Mar Lodge Base Camp situated 4 miles west of Braemar, offering easy access to the Cairngorms. There are four bedrooms - two four-bedded, one two-bedded (all bunk beds) and one room with two single beds and an en-suite with toilet and shower. There is a fully-equipped kitchen, sitting room, dining room, drying room, showers, toilets and oil-fired central heating. Meet at planning stage. Dates and accommodation provisional. Bookings are not open yet. 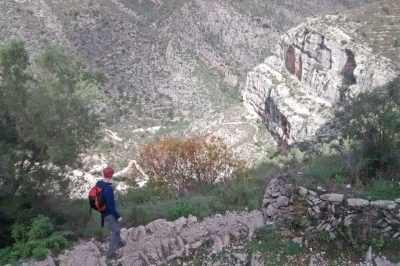 Better known for the delights of Benidorm, the Costa Blanca is ideal walking country in Autumn with sunshine, plentiful hikes and even a few scrambles. There is easy access from Alicante airport which has frequent budget flights from all parts of the UK. The intention is to book a large villa with twin rooms and enjoy a break in the traditional Gentian way. # Price includes morning breakfast (porridge/cereal & toast) and a 3 course evening meal each evening☨ including a vegetarian option. ☨ Except for the first night as members will be arriving at the meet venue at different times. * Can be increased if over subscribed.